Milo didn’t appreciate all the things his mom did for him ... until she was abducted by aliens! 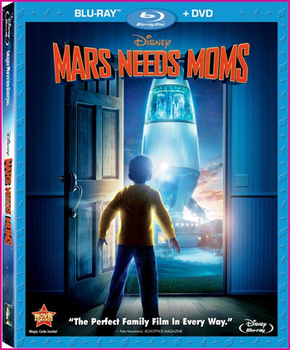 Kidzworld reviews Mars Needs Moms, which comes out on Blu-Ray + DVD on August 9, 2011! Milo (Seth Green) was sick of being told what to do. Life would be better without a mom to make him take out the garbage and eat his broccoli. But when aliens take his mom away in the night, Milo’s instincts take over. He chases the aliens to their spaceship and accidentally hops on board. Too late to turn back now. He’s going to Mars! On the red planet, he meets a human named Dribble who lives above the garbage dump. Milo enlists Dribble’s help to rescue his mom, but their plans backfire when they nearly wind up being vaporized by the aliens and their evil supervisor. But one rebel alien named Ki is eager to help. Unfortunately, the hours are dwindling. Milo must rescue his mom before sunrise or her memories will be stolen and her body will be vaporized. 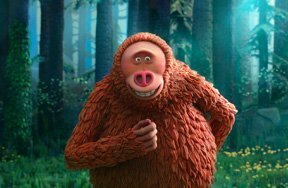 During the credits at the end, viewers get to see how they made the movie so lifelike. 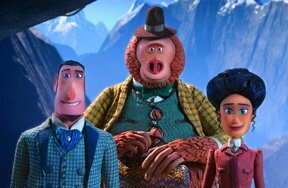 Did you know that actors don’t just record their voices anymore? They act out the scenes wearing bodysuits and sensors to track their movement. Cool, huh? Mom-Napping 3D Exclusive: Check out this alternate scene of the Martian abduction of Milo's mom! Extended Opening: The movie begins ... but wait, there's more! Life On Mars: Go way behind the scenes to "space" and check out more details about the making of this movie. Fun With Seth: Check out the on-set antics of Seth Green and Dan Fogler. Martian 101: See how the cast came up with their own, unqiue Martian language. Which LEGO Minifigures Went to Mars? Meca One and Sensei Keiken. Biff Starling and Sandy Moondust. Rick Brick and Polly Peg. There aren't any LEGO figs on Mars!